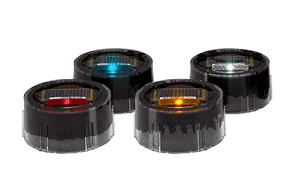 Dynamic LED studs triggered when pedestrians and cyclists are detected by radar. Objective : Make greenway crossings of secondary roads safer. Amber MEGALUX studs installed, triggered in flash mode by radar. Case 1: Marking out a cycle path to better guide cyclists at night. 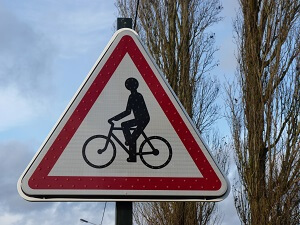 Case 2: Safety markings for a more robust separation of the road from the cycle path when the latter runs alongside it. 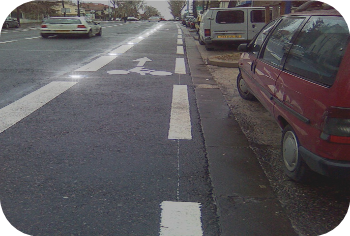 Case 3: Safety markings for a cycle path crossing a secondary or municipal road. In Case 1, night-time guiding lights are all that is needed. 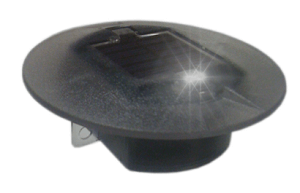 This can be provided by studs with inbuilt solar panels operating in continuous mode (LED on continuously at night). In Cases 2 and 3, safety markings are needed and the studs must operate day and night. For this, we recommend installing High-Power LED studs powered by street lights, mains power or – if using flash mode – solar panels. For this type of application, we recommend low profile studs with great mechanical resistance and good charging ability (choose better charging autonomy and output for thickly tree-lined paths). This type of application requires studs that can withstand heavy traffic and mainly function during the day. In this situation, we recommend MEGALUX studs. This stud is powered by street lights or standard mains power. The cables are directly embedded in a cut made in the tarmac (10mm wide by 40mm deep). 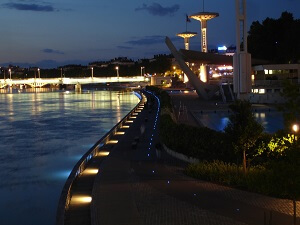 In addition to being effective at night, these studs can also operate in continuous or synchronised flash mode (upon request). 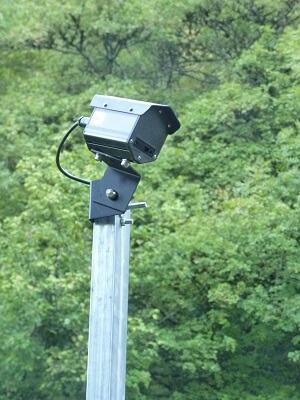 This means they can be activated using a simple cyclist or pedestrian sensor. 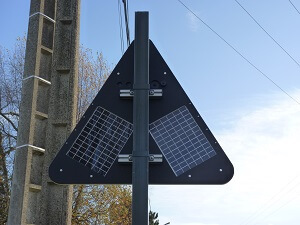 A dynamic solarpowered A21 sign can also be installed 150m from a cycle path crossing, activated by radio frequency when people are detected on the cycle path.